Thanks to Tier 1’s expertise in secure and ethical corporate IT disposal, we are able to offer our customers an environmentally friendly alternative to buying brand new products. 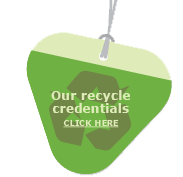 To support this, we are an ICER-accredited WEEE refurbisher, committed to the maximised re-use of the equipment we handle. Why buy ex-corporate IT equipment? The obvious reason first — it’s usually far less expensive than buying new! Plus you get equipment that perhaps a couple of years ago cost £000s and you’ll now pay a fraction of that price for a professionally refurbished version that is as robust and durable as it ever was. This option is particularly attractive to business customers who recognise the value in brands such as IBM or HP. We liken the decision to that faced by a new car buyer; do you buy a brand new Ford Ka or Nissan Micra or a three year old BMW or Mercedes? The decision is yours! Secondly, the environmental reason is equally as clear. A United Nations University study showed that manufacture of a single PC needs 1.7 tonnes of materials, including the consumption of more than 10 times its own weight in fossil fuels. 75 per cent of PC fossil fuel consumption has already happened before the computer is ever switched on, for instance in extraction mining, processing, manufacture and distribution. This has crucial implications for business PC owners wanting to reduce the environmental impact of PC use. The high energy during manufacture is compounded by a corporate PC’s unnecessarily short lifespan. While most green IT efforts focus on reducing power consumption, a true environmental impact assessment must study the entire product lifecycle. As 75 per cent of the environmental damage occurs during the PC production process, extending a PC’s usable life span is the most effective option to reducing their environmental cost. The study concludes that re-using a whole computer is some 20 times more effective at saving lifecycle energy than recycling. Our ex-corporate stock comes with a clear grading description. Click here to see how this works.